NOTE: This article is from the oprainfall Campaign Hub, written by an independent campaign, and hosted on the oprainfall website. The opinions herein may not represent the opinions of oprainfall. Hello, everyone! It has been a lot of time since our last article. I am sorry about that, I’ve been very busy and I can’t give Operation Decode as much time as I would like to. But I wanted to write down a few lines and make a short summary about what has been going on lately, since some cool things did happen! First of all, we passed 21.700 signatures from all over the world on our petition, which means we are even closer to our original main target (30.000). Thank you, to everyone who spread the word, and helped us reaching such an impressive amount of supporters in just 6 months! Secondly, there is something very important I’d like to point out. Namco Bandai Games have officially acknowledged us: some of their PR and community managers from both European and American branch expressed an interest in our campaign by replying to our tweets or by sending emails in answer to some of our supporters. @OperationDecode @NamcoBandaiUK @Leearigold A LOT of love for Digimon. Interesting stuff. We have noticed your campaign and fully appreciate the community’s support of the Digimon franchise. We’ve noticed the petition. Do your best to get that number higher! We’d like to send them our thanks for answering our calls. While none of their words actually mean that Digimon World Re:Digitize Decode will surely be localized, just having our existence recognized is a huge achievement: we are showing them that an audience for Digimon still exist in the West. So, even if the timing would not be good anymore for them to publish Decode (we hope not! 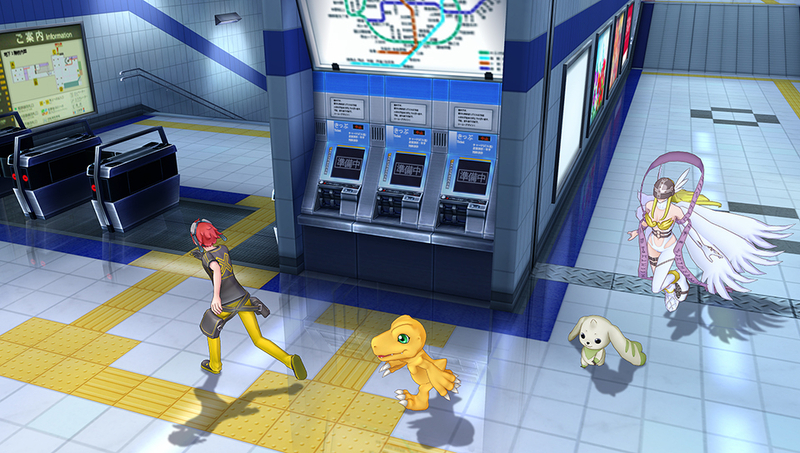 ), they may decide to give us a chance by localizing the newly announced PS Vita game, Digimon Story: Cyber Sleuth, which is slated for 2015 in Japan. Our hope is that Digimon will regain momentum outside Japan, in the near future, so let’s keep on showing them how much love Western countries still have for them! Remember to sign our petition , if you still have not done it, invite your friends interested in buying the game to do the same and tell them to spread the word in turn. Please also join our Facebook page and follow us on Twitter and Tumblr! I will leave now with a little preview: in our next article, we will be giving some information about the storyline and the characters of Decode. Thank you for reading and for everything you have done and will do to help our cause. Viva Digimon! Our goal as a campaign is to convince Bandai Games to consider the localization of Digimon games in the West. At present, our main focus is on "Digimon World Re: Digitize Decode" for 3DS and "Digimon Story Cyber Sleuth" for PSVita. We initially started as a Twitter campaign, with the hashtag #OperationDecode, then opened an online petition on 12 July 2013. Our target is to reach the highest number of supporters possible, and to increase the awareness about these games.